Yesterday I talked about the three Azeroth books I recently read through, and starting the review process with Vol’jin: Shadows of the Horde. It’s one of the more recent books to come out, unlike today’s choice which came out in 2010. It’s funny how I talked yesterday about Vol’jin’s book not having a lot of the war element we would typically find in a World of Warcraft novel. For the early portion of this book, it’s the same. But unlike Shadows of the Horde, this one blends things in and then just keeps blending. 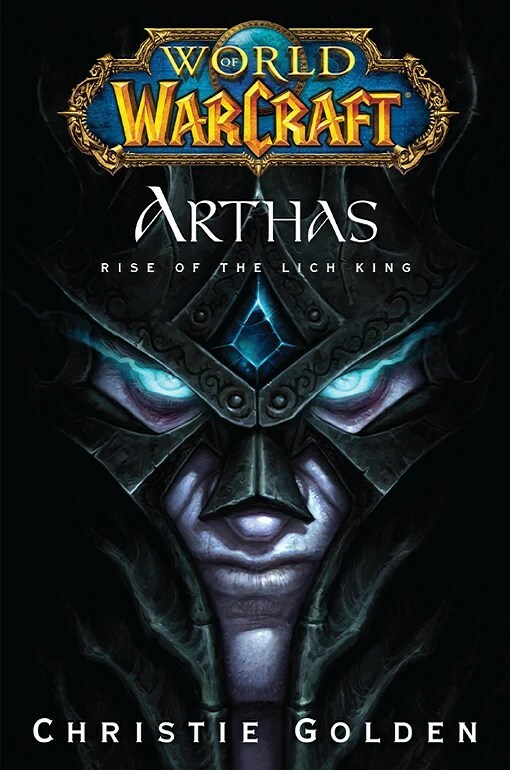 Arthas’ story is told in three stages and focuses on three different stages: Arthas Menethil, the Jaina era, and finally Sylvanas and the Lich King. The story involves many significant moments that are major lore points in WoW. How Sylvanas became the Banshee Queen is no secret, nor is the “Culling of Stratholme.” These and many other familiar facts pour out of the pages along with some that aren’t as well known. For instance, there’s a lot more to the Lich King and his mount that I had no idea about and can actually appreciate greatly. As should anyone who has ever had a strong bond with an animal. So the first act deals with Arthas growing up and the pressures of being a prince and all the good and bad that comes with it. You see a few moments of the old “much to learn, boy” that comes with such a tale, as well as what would be a couple of innocent seeds if a person didn’t know Arthas’ final destination. In the second act we have the Arthas and Jaina relationship, and Prince Menethil doing what he feels he must for his people. There’s a great chapter that also involves visiting Thrall in his early days. It’s not an exchange, but it does help tie characters together well. In more than one way. But this is nice Arthas. Not off the handle Arthas, which we get later on in the middle section of the tale. Finally it’s Sylvanas’ turn and her death followed by what he does (I had no idea he resurrected Kel’Thuzad…makes sense). How he is pulled back to Northrend to save the Lich King makes for an interesting encounter with Anub’arak. You really see how parts of Wrath came together as a story. There’s so much more to the story which, despite knowing most of it going in, is just an amazing read. You can see a few grains of sand fall, and Christie Golden does a great job of making the grains continue to fall through the hourglass until you know Arthas is off the deep end and can actually see how he got there. You almost pity him for the journey until the very last moment, when he actually becomes the Lich King and that’s when you know he is beyond “bat-crazy.” Still, I love how that was presented, in part because I didn’t see all of it coming. 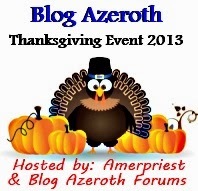 With an iconic character like Arthas Menethil you have so much material to work with. It would be easy to mail it in and just recite much of the moments in his life. Golden slows some of those moments right down, barely touches on others, and adds a few new ones that create a bigger picture than what the average person would even know about the man who would become the Lich King. To do that and have the reader not feel like the book is a history class, is excellent writing. Hands down my favourite Warcraft book and not just because I’m fond of the content but because it’s simply that good. Absolutely The Scourge. I can connect with The Scourge. Not as if I were the walking dead mind you (ok, some mornings). I mean that I can realize them, their purpose, the threat they possess. From years of playing Dungeons & Dragons (now Pathfinder, much better btw) I’m pretty familiar with the undead and how they tick. When it comes to demons, you tend to have to level a fair bit higher to really encounter the good ones. We didn’t do that very often. World of Warcraft’s approach is not all that different. Particularly old WoW wasn’t. Undead in the Deadmines, Duskwood, and the Plaguelands to name a few places (and excluding the Forsaken from the discussion). By the time you hit 60, you had more than your share of prominent walking dead. Heck, you also had Naxx back then to stoke the fire. Burning Legion? What’s that? Then came Outland and it still never felt like The Burning Legion so much as it just felt like Outland and there happened to be demons there. When Wrath hit, though, it was full on Scourge Invasion and it felt like it. Most of the expansion felt like you were crawling through the wretched Scourge to get to Arthas in the end. As I say, I feel The Scourge. Can’t say that about the Legion in the slightest. Not a damn thing even comes close. I know there are several Old Gods of Azeroth, and while we don’t even know about all of them there are a few that we’ve gone up against as heroes. To me, none is greater than Yogg-Saron. I remember when the trailer launched. Man, did I have goosebumps. The Lich King was always the end boss of the expansion, but Yogg-Saron played a fine secondary threat. As the developers themselves have said, though, it’s too bad the connection between the two could not have been better established in the game. Heck, it took me long enough to draw the connection between the Old God and Saronite (for which I felt silly). “Yoggie” as I called him, was to the Lich King what Kil’jaeden was to Illidan. Granted, their focus and introduction were very different circumstances. What intrigued me more about Yogg-Saron was the historical aspect. It’s a fact the guardians in Ulduar were supposed to keep watch on him, but he unraveled that pretty well beginning with Loken. Along those lines, it’s believed the Old God was responsible for several major incidents including King Llane killing Garona Halforcen and the corruption of Vordrassil. The theory on that one is that the trees roots grew too deep and got too close to Yogg-Saron’s prison. Evidence to support this is the Furbolgs that moved into the long deserted tree and went nuts in the process. Yogg-Saron comes off as a dormant threat until Ulduar. But the truth is, it feels more like the Old God just sat and waited, biding time and manipulating where it could so be done. Even the Scourge curse his name. When you’re more evil than the bad guys, that tells you more than enough. Try as a person might want to, some things are simply true regardless. Wrath of the Lich King remains the best expansion for World of Warcraft. Some can quite validly lay claim to The Burning Crusade and I will support that as best I can. Support is the key. I can’t verify how good it was because that’s the period where I started playing the game. I can certainly tell you there were great things in the era of the 70, but I can’t compare it to anything before it. Still, the first expansion needs to be succseful in order to lead to more expansions. The conversation about World of Warcraft in general seems to settle in to the notion that Wrath wasn’t the best expansion, but the game’s actual pinnacle to date. I’m going to quickly dispute that a little bit. In many ways, the game is better than it was back then. Unfortunately, it’s riding two expansions that instead of hitting it out of the park like Wrath did…chose to bunt. Cataclysm and Pandaria were ok, but neither one of them were great by any stretch. But I still believe the game itself has gotten better in the past five and a half years…except I liked the old talent tree system. So okay, fine. Wrath of the Lich King is the best expansion. Well…why? I mean, everyone talks about it but do they ever really tell you anything that makes you feel the same way? Is there any legitimate fact to their comment? I don’t know if I can sway anyone who doubts where the march to Icecrown lands in terms of WoW history, but I’ll try just the same and I’ll begin where the expansion did. I’ve talked about the Scourge Invasion that came prior to Wrath’s launch and I won’t elaborate on it too much more. There was the zombie plague that you either loved (me! me! me!) or hated. There was also the periodic attacks on the main cities by Scourge minions, sent by Arthas himself. There were also the necropli floating over certain areas. Those fights were a blast, especially as a guild. This was also the way you obtained the Haunted Memento that sells for a good mint on many servers. Those of us who had several and got rid of them look pretty dumb these days. All in all, the pre-Wrath event was great. You were really ready for Nothrend by the time it concluded. Out of all the expansions Wrath was the one that felt epic. Cataclysm certainly had the potential for that, but in the end it came up incredibly short. Right out of the gate you felt the presence of Arthas (more if you started in Howling Fjorde than in Borean Tundra), and as you went along it all felt tied together without feeling like you were questing on rails -something that has become too common in the days since. Fans who played Warcraft 3 were in their glory as years after following his evolution into the Lich King, players could now climb the Frozen Throne and confront him. And the confrontation on the throne itself did a great job of wrapping things up with a nice neat bow. Not because Arthas was defeated, but because during that battle you find out why the Lich King drew the forces to Northrend in the first place (hint: your hero had the potential to be the ultimate Death Knight). From the music to the lore, from the Wrathgate to the zones themselves, you really felt like you were in the midst of something epic. Mechanically, the game was for the most part sound. The developers were hitting a stride in implementing some new ideas and tech, without it taking over the game or causing problems (for the most part). WoW’s second expansion introduced phasing, and it was different…and then they ran with it and subsequently had to use it everywhere in Cataclysm and Mists. Raids became a bit more accessible thanks to the two tiers, and quite frankly Ulduar remains the largest and most encompassing raid in the game. While the Raid Finder and Real ID have certainly evolved the Looking For Group for the better (mostly), this was the last time servers really had any identity. It’s one of the reasons Wintergrasp was so largely contested (another new feature) whenever that timer came up. Even non-PvPers would jump in, though that might have been just for the easy loot in Vault of Archavon. But outside Wintergrasp, this was still the era in which you had to group with people on your server. It’s how you got to know your server, and in some case make some friends in the process. Rarely did you have people being cynnical douchebags, doing nothing but name calling and criticizing the efforts of others. Why? Because they would get a reputation and quite frankly folks wouldn’t run them in their group. Grouping has become easier since then, but it’s not in all ways better. I feel like I’ve said so much about Wrath of the Lich King and yet part of my feels like I just haven’t done enough to truly convey what a great time it was in the game or whether I’ve said enough to illustrate just why it’s the benchmark for expansions. My honest hope is actually that Warlords of Draenor surpasses it, in all capacity. I don’t think Mists of Pandaria ever really had a chance, and Cataclysm had the potential but fell horribly flat. Now don’t get me wrong, I’m not putting the pressures on WoD to be the best expansion yet. As I’ve already said, it’s a pretty lofty goal. 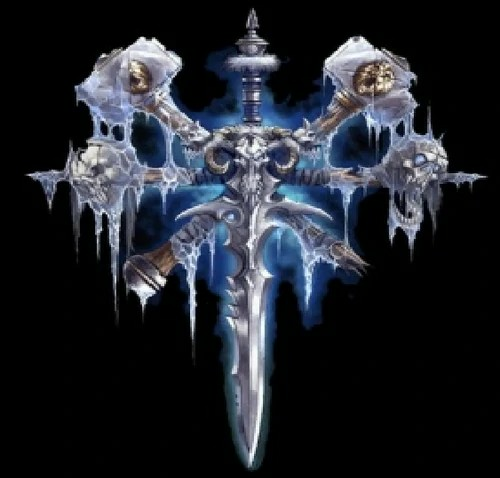 Just stand at the base of Icecrown and look up.